A new video has been released by Screenhog, and this time it’s all about Pufflescape, including some of the tunes behind it and some insights to the game! You can learn about the Behind the Scenes to the music of Pufflescape in his new video! For those of you who aren’t aware what Pufflescape is, as it isn’t a game which can be played on Club Penguin Rewritten or Island, it was an awesome physics-based game based on collecting O’Berries. 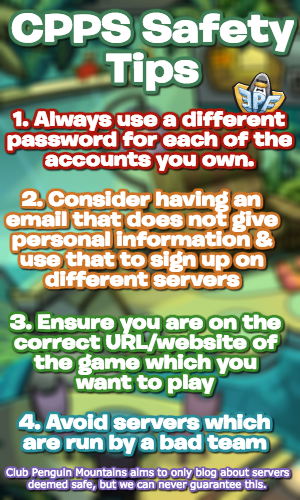 The idea was to use your keyboard to collect O’Berries with your puffle, and then progress through levels! Perhaps one day it’ll even come to Club Penguin Rewritten too, because the soundtrack is definitely cool! Hi! A new video has been uploaded by Screenhog, featuring the behind-the-scenes details of creating the iconic Box Dimension tune! By now, you’re probably familiar that I tend to post these videos as I find them awesome, and you may do so too, so I wanted to share them with you in case you’re interested. Here’s the latest one! If you’d like to just give the track a listen, though it’s also included in the video, you can hear it here too. Feel free to watch it if you’re interested, as Screenhog mentions a really interesting story too about how the team collaborated for the April Fools Party! Happy Halloween! Well, I’m a few days late, but in case you missed it, I just wanted to let you know that Screenhog published another awesome video about the Behind the Scenes of Club Penguin music! This time, it’s about the story of creating one of the iconic Halloween tracks: Cave of Creeps & Clarinets. Feel free to watch it if you’re interested! I just wanted to share this with you in case you missed it, as I think the Behind the Scenes element of Club Penguin is really interesting, and I know that you might think so as well! A while back, you may remember that there used to be a lot of hope that Lego (the construction toy company) would make sets for Club Penguin, which you could buy and build! Unfortunately, this never happened, but the Club Penguin team wanted it to! tigerrkid, who recently travelled to the CP Headquarters in Kelowna, kindly allowed me to share the pictures of the Lego designs! In order for Lego sets to be considered, the team would’ve had to submit them into Lego Ideas, at which point we could vote for them. If it reached 10 thousand votes, then the Lego team themselves would’ve considered making them a reality. Sadly though, it never got to that stage, and never will with Club Penguin Island closing. However, these pictures do look really cool, so I just wanted to share them in case you were interested. I would’ve loved for these sets to have become a reality (you may remember the #LEGOCP project from a few years ago! ), and whilst it never will be, I’d like to thank tigerrkid for sharing these photos, and the Club Penguin team for trying their best. Club Penguin’s 13th Anniversary is today! Eight years ago, I signed up to Club Penguin, and was immediately amazed by an entire snowy island, which launched exactly five years before then! Today the classic version of Club Penguin would’ve turned thirteen, and although it’s devastating that this is the last anniversary of the official franchise, Club Penguin has provided us with amazing memories and experiences, along with skills, friendships and above all, fun times! 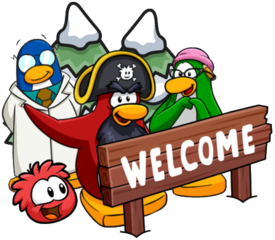 I wanted to recognise that with this post, because I’ve certainly had loads of amazing memories and learnt a lot, both from Club Penguin, CP Rewritten/Island and also maintaining this blog. It’s unfortunate that after all these years, the official franchise is ending and that lots of jobs are being lost, especially in the most cruel way if the rumours are true. But despite this, I’d really like to extend my thanks for the team behind thirteen years worth of magic, and the Club Penguin Rewritten team for offering to carry that on for all of us. Club Penguin has been undeniably one of the most significant and prevalent virtual worlds to ever be created, and the proof is that is how we as a community continue to celebrate a 13th Anniversary at a time where many virtual worlds fade within months. For many of us, it feels like we were celebrating a party only recently, and who knows what exciting things are held in the future from now. Hi everyone, throughout the Devcast podcast, you may have heard that Screenhog uploaded another addition to his Behind the Scenes music series! He did so last night, and it’s a really interesting one which focuses on the creation of some of the Medieval tracks, but also a bit of insight into the creation of the initial concept of parties. It might sound familiar from you because it was featured in the Club Penguin New Horizon’s documentary! If you’re interested, I’d highly recommend watching the video, otherwise please feel free to skip this post!